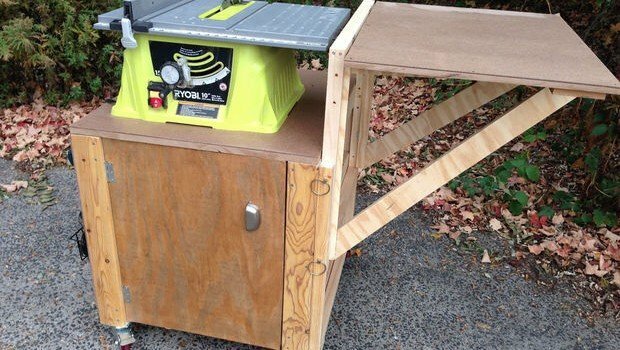 If you are like me, and like MANY other woodworkers, you are working from a garage or basement workshop that doesn’t quite have enough storage and surface area to work. 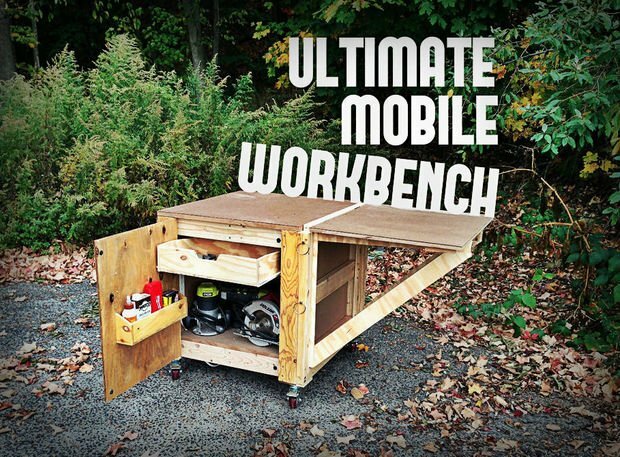 One of the best ways to remedy the space and surface issue is with rolling work carts. 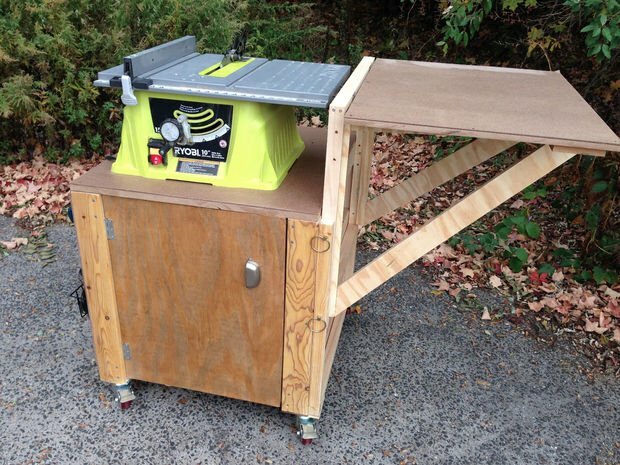 The following is a great rolling workbench / storage cart plan with a clever twist. The adjustable and collapsible side surface area is great for extra space and for panel support and also makes it much easier to slide the bench out of the way when not in use. I might create a slight tweak on this project and build a second fordable side. A larger surface area is always a plus and building another flip down side is only a matter of a little more time and materials. Good luck with this terrific project. Danish Oil Finish or other stain to your liking. As you can see from the finished project, the type of wood that you use probably isn’t a big factor. You could use a variety of plywood or or 1x stock. In my case, I am simply using the material that I have on hand.